A Message from Art: Business Can and Should Be a Force for Good | Gap Inc.
At Gap Inc., we are guided by the belief that business can and should be a force for good. Doing what’s right – supporting fair treatment and dialogue between garment workers and factory management, tackling climate change and fostering an inclusive workplace where everyone is welcome – is a competitive advantage. Our business succeeds when everyone is given a chance to thrive. We hit some big milestones in 2017 as we continue to work to be a responsible, global leader in our industry. Our brands are leading the way forward. Athleta, our fastest growing brand, earned B Corp-Certification this year in recognition of its exceptional commitment to protect the planet, while empowering women and girls to reach their limitless potential. Hill City, our newest menswear lifestyle brand, also launched as a B Corp by integrating sustainability throughout many of its products. 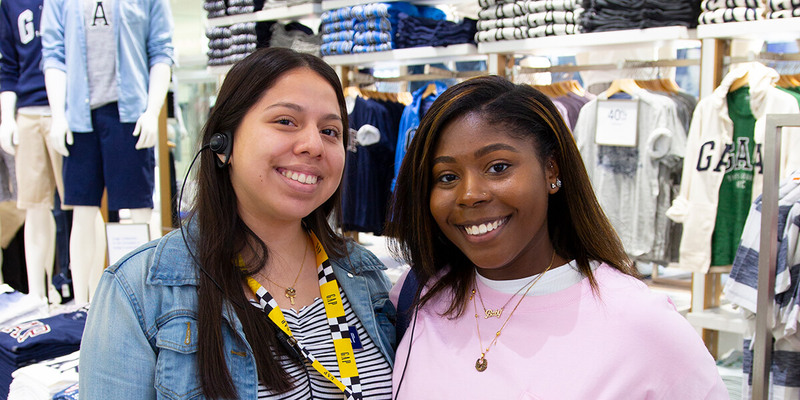 Three of our largest brands have partnered with the Boys & Girls Club of America to scale our on-the-job training program, This Way Ahead, because we understand the transformative power of a first job and the value that comes from hiring a more diverse and engaged workforce. At the enterprise level, we made a new commitment to conserve 10 billion liters of water by the end of 2020 through improved manufacturing practices. Thanks to new ways we’re working with our partners and a revised goal, we’re also setting our sights on ultimately reaching many more than one million women through our decade-long life-skills P.A.C.E. program. Additionally, we’re requiring 100 percent of our apparel suppliers to transition from cash to digital payments by 2020, because we recognize the importance of financial inclusion for female garment workers. One company cannot solve the challenges we face, so we’re evolving existing and building new partnerships to help create a more resilient future. In 2017, we announced an innovative public-private partnership with the U.S. Agency for International Development (USAID) to help promote solutions for women and water in communities touched by our supply chain in India. Earlier this year, we also joined forces with the Ellen MacArthur Foundation and other leading apparel brands to help create a more circular future for apparel design and manufacturing. The global apparel industry must do more to protect the environment and the workers who manufacture our products. The challenges are complex, but we will continue to do our part. Moving forward, we are shifting to an annual sustainability reporting schedule in order to provide a more frequent assessment of how we’re performing against our bold 2020 goals. We started this work more than twenty years ago, and we understand the urgency in the task before us. We are committed to this work for the health of our business, our customers, our employees and the planet.